IMG_5539, originally uploaded by lostinbrooklyn. 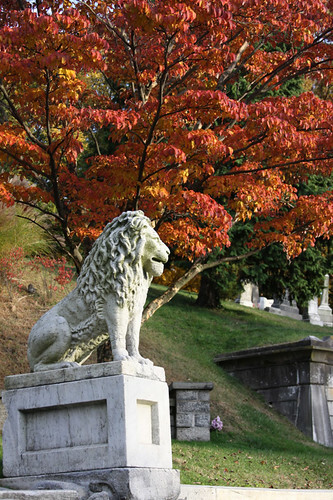 If you get a chance, check out Green-Wood Cemetery as soon as possible. Lovely. Tomorrow (Monday) would be an appropriate day. Today (Monday Nov. 2) would be a good day to go to Greenwood not only for the gorgeous foliage, but also because it is All Souls Day. Oh I will have to go there tomorrow! Just got laid off yesterday so I have lots of free time.